Vallejo Model Colour is an extensive range of paints designed for painting scale miniature kits. Vallejo Model Color is designed to be lightfast, waterproof (once dry), provides a smooth coat with minimal brushstrokes, and dries to an opaque finish (except transparent and fluorescent paints). 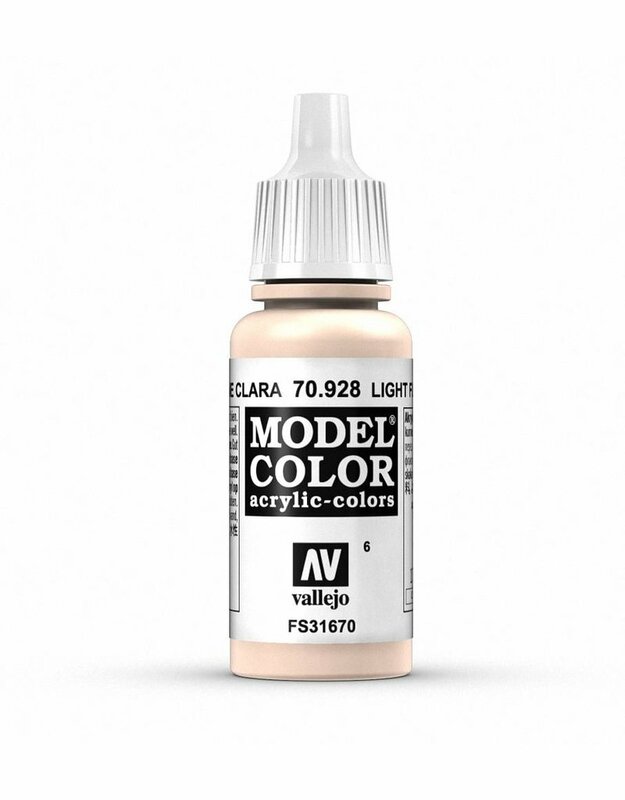 Vallejo Model Color acrylic paint is designed to give superior coverage on metal, plastic and resin models, and can be freely mixed with other acrylic colours and Vallejo Auxiliary products. The Vallejo Model Colour acrylic paint range comes in convenient dropper bottles, giving painters and hobbyists complete control over paint flow from the bottle.